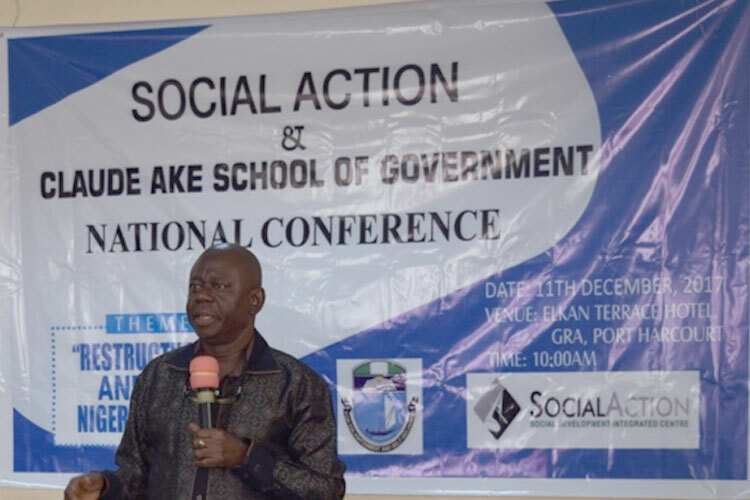 As part of activities to mark the 23rd anniversary of the killing of nine Ogoni leaders, Social Action’s Community Advocacy Centre in Bori on 10th November 2018 organised a lecture and sensitisation program on oil pollution in Ogoniland. 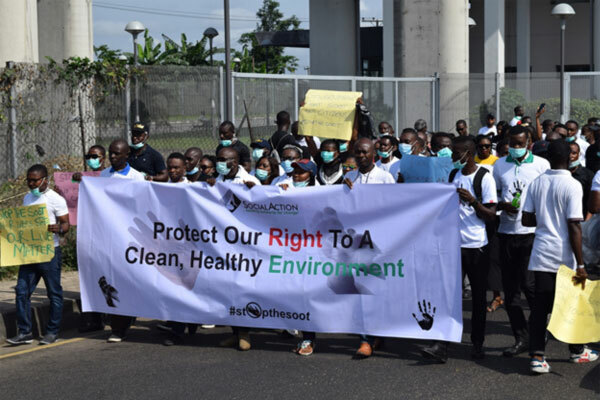 Social Action joined other citizens groups in Port Harcourt, Rivers State on 19th April 2018 in peaceful Streets Walk Campaign against soot pollution in the city and other areas of the state. 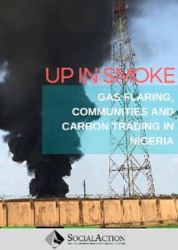 The black soot which has since 2016 polluted the city, the capital of Nigeria’s petroleum industry, is believed to result from incomplete combustion of hydrocarbon and related materials. 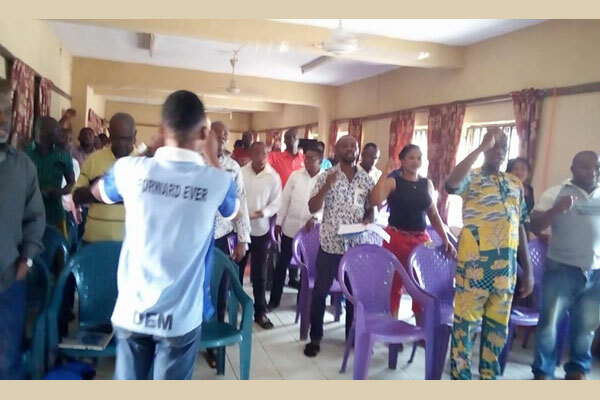 While government agencies have failed to act against the pollution, residents believe that the pollution originates from asphalt companies, refineries and illegal artisanal refinery operators. 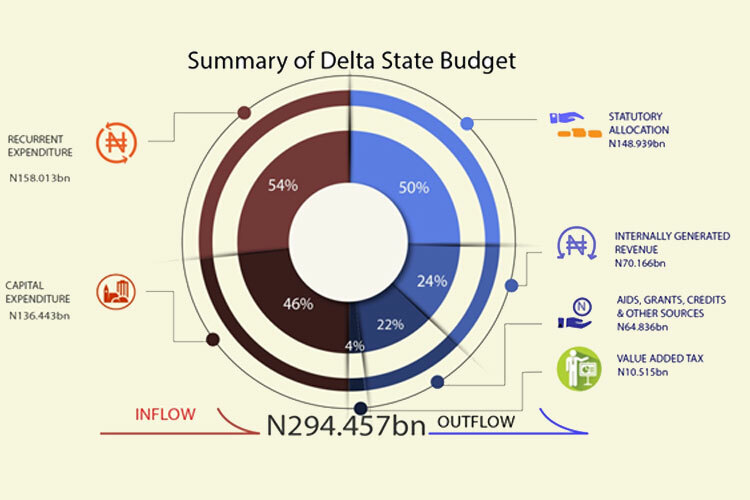 In particular, the indiscriminate burning of confiscated vessels of crude oil thieves and destruction of illegal refineries by soldiers in the military Joint Task Force (JTF) contribute to air and water pollution. The protestors called for increased and transparent action by the authorities to stop the pollution. 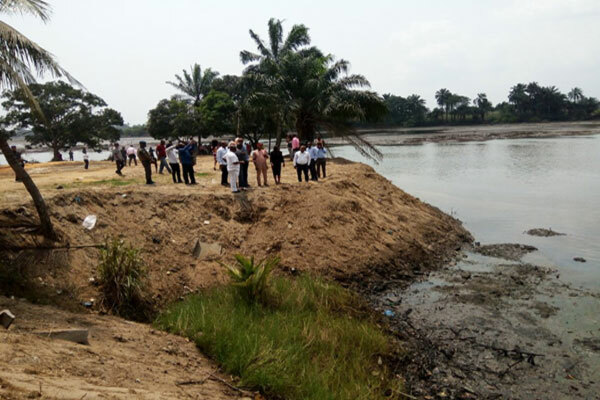 Social Action’s monitoring of Ogoni communities in the Gokana, Tai, Eleme and Khana Local Government Areas in Rivers State in first quarter 2018 revealed that the actual clean-up of polluted sites has not yet started. 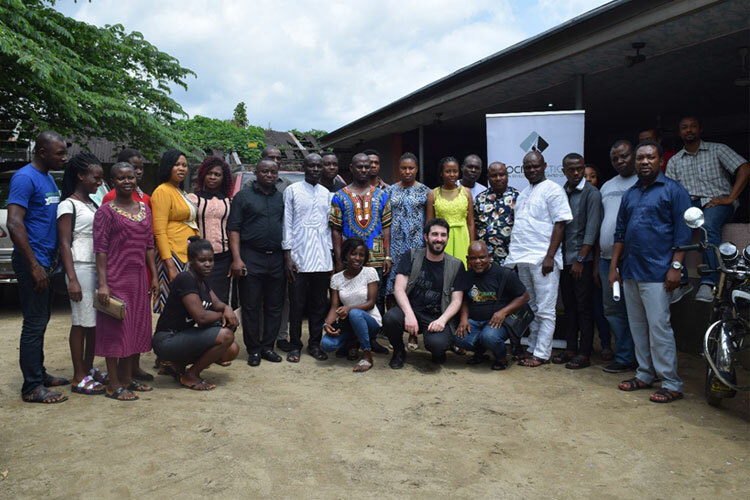 The delay is continuing seven years after the release of the United Nations Environmental Programme (UNEP) Report on the Environmental Assessment of Ogoniland, and two years after the flag-off of the clean-up by the federal government in 2016. 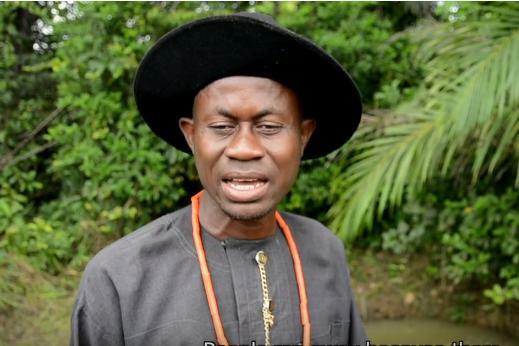 Our monitoring in Ogoniland also shows that the Hydrocarbon Pollution Remediation Project (HYPREP), an agency set up by the Federal Government for cleanup is yet to award contracts for the implementation of emergency measures since the advertisement for the expression of interest by qualified companies in 2017. 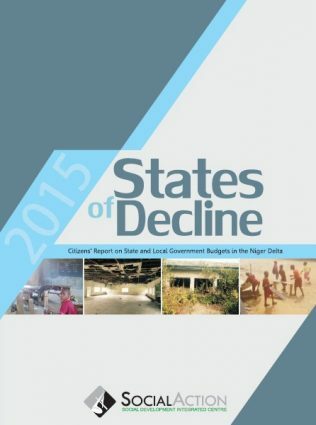 Thus, the Ogoni people are still without clean drinking water, health audit and other emergency measures recommended by UNEP in 2011. 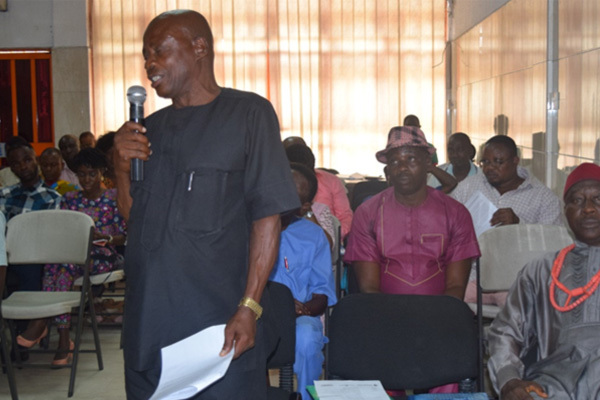 Citizen groups and representatives of petroleum-bearing community have raised concerns about the inherent gaps and dangers of the Petroleum Industry Governance Bill (PIGB), which has been passed by both houses of the National Assembly. 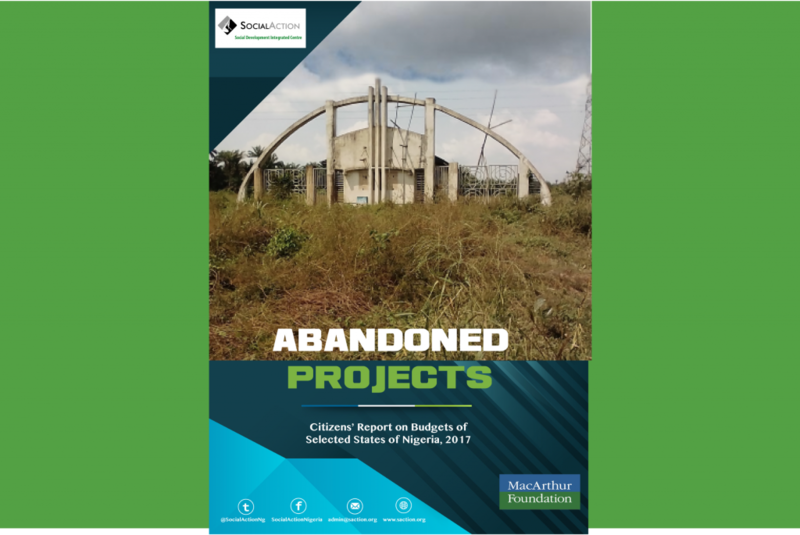 As the Bill is fraught with defects in the areas of environmental protection, industry-standard regulation and preservation of the rights, health and livelihoods of local community members, the groups urged President Muhammed Buhari not to sign the PIGB, until the problematic areas were addressed. 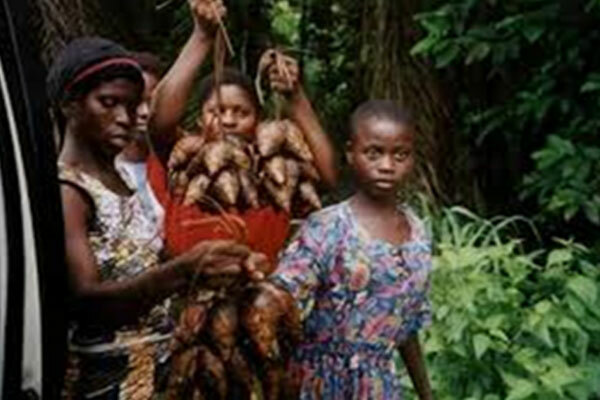 The descriptive name of the scheme, Reducing Emissions from Deforestation and Forest Degradation (REDD+) hides issues such as whether women were involved in the initial decision making on whether or not the scheme should be implemented in their villages, especially in Cross Rivers State, Nigeria. Here, most women indicated that they did not know about these matters. For those who did know, they said they were not invited to meetings when those decisions were made.